This tour does not carry children under the age of 4 years old. 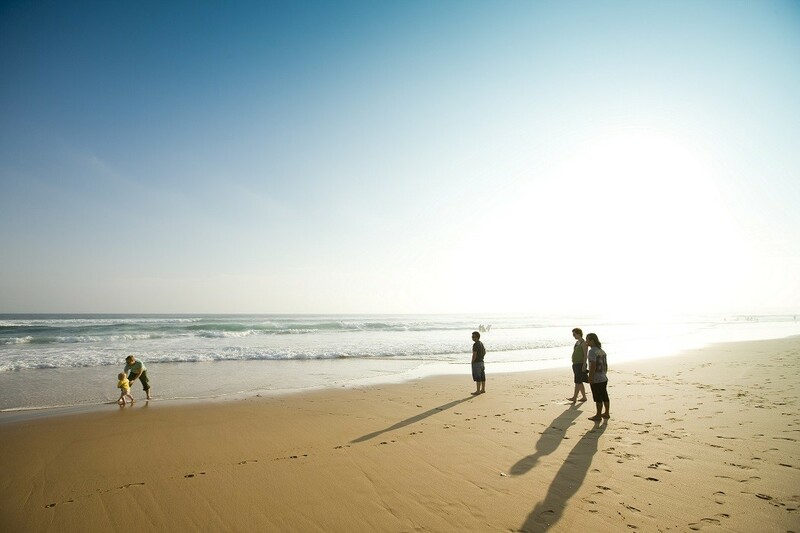 If you are travelling with a child under 4 years of age, we recommend the large coach option. To view the details of this tour, please click here. 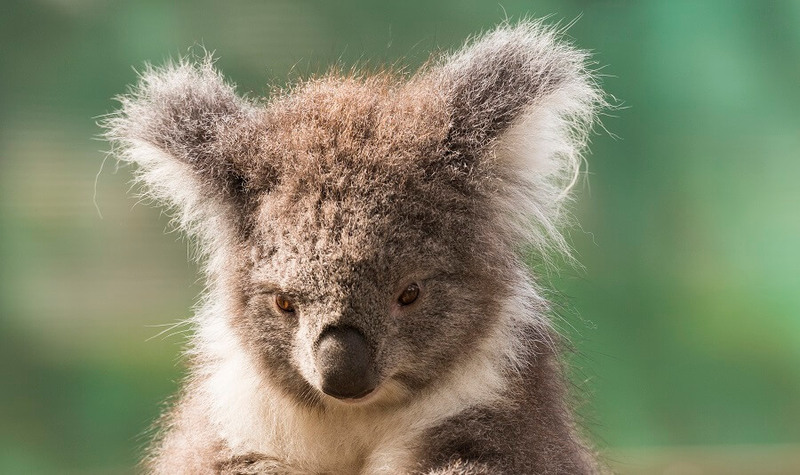 Maru Wildlife Park - Feed the Kangaroos, get up close to koalas, emus, wombats, dingoes, Tasmanian devils and various birdlife; a photographer's dream! Phillip Island Grand Prix Circuit - Take a look at where the action happens! Summerlands - Observe the thunderous surf beneath the sheer- cliff faces. 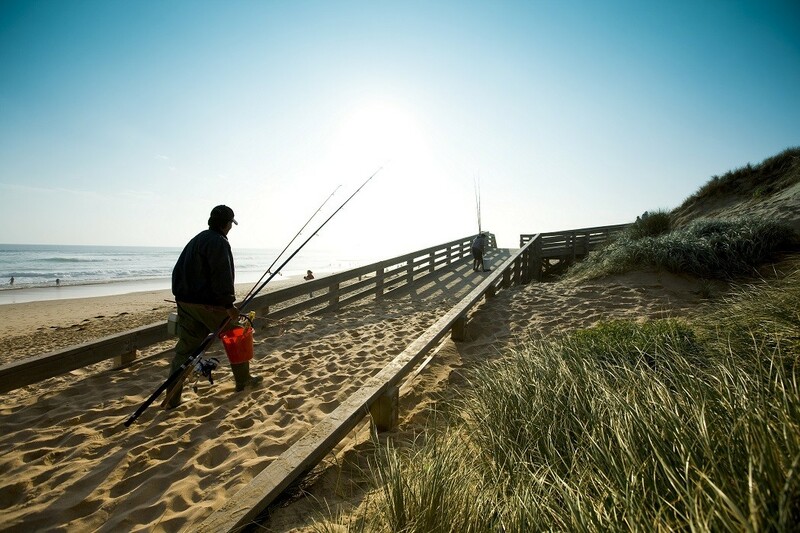 Our 1 Day Phillip Island Tour takes us on a journey through a variety of Victoria’s coastal surroundings, accompanied by interaction with some of Australia’s native wildlife for everyone to enjoy. We depart Melbourne in the morning, heading straight to Maru Wildlife Park where we will have the opportunity to meet some friendly Australian animals. 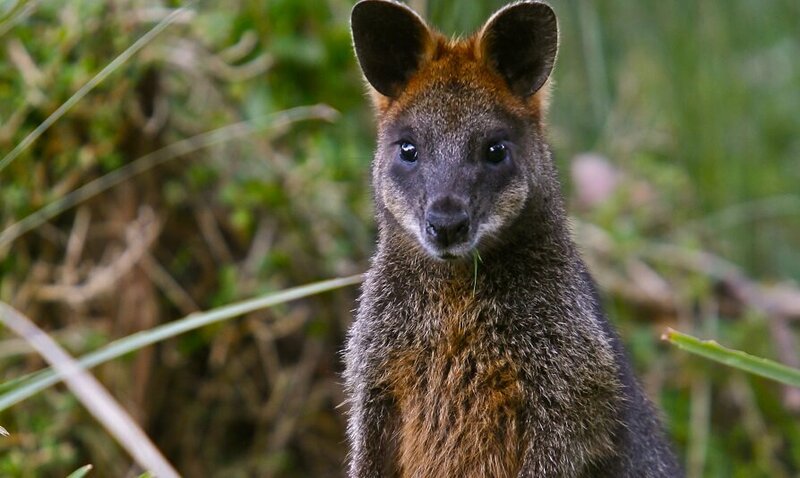 Emus, wombats and dingoes will appear before your eyes! 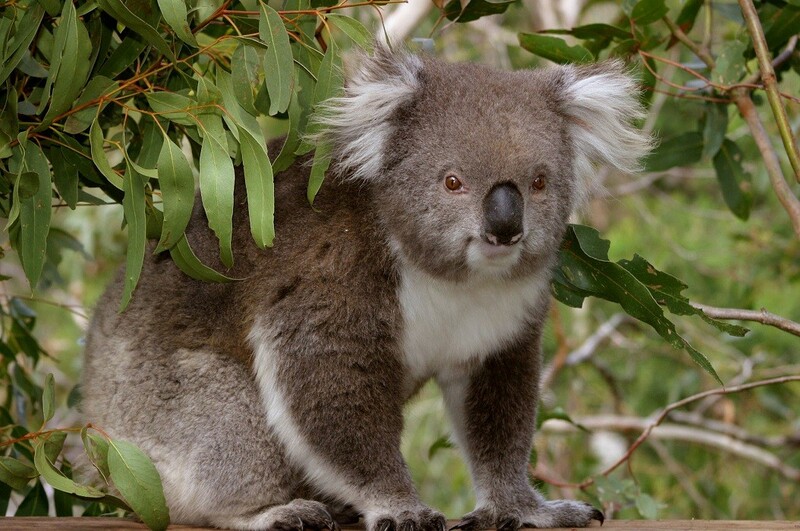 Don’t miss the chance to hand feed Eastern Grey Kangaroos and have your photo taken with a friendly koala. 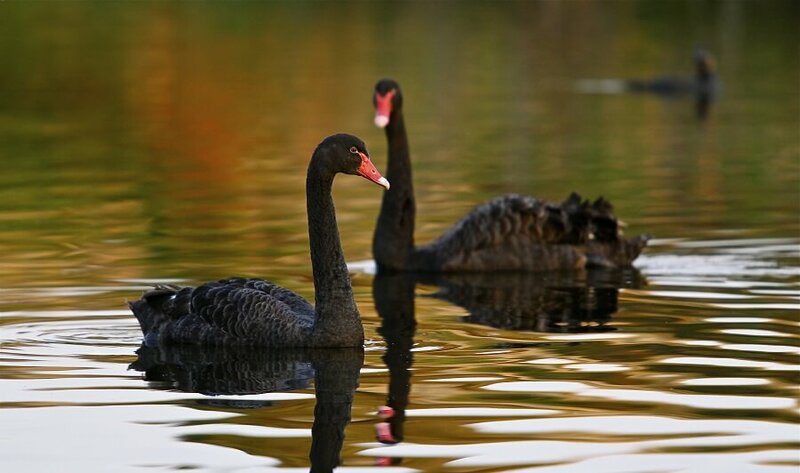 The Maru Wildlife Park is an ideal location to capture some great memories of your Phillip Island Tour. From Maru, we continue our Phillip Island Day Tour by crossing over the San Remo Bridge, onwards to the Grand Prix Circuit. The Grand Prix Circuit is home to the Australian Moto GP and we will pass by where all the action takes place on our way to the Nobbies Information Centre. 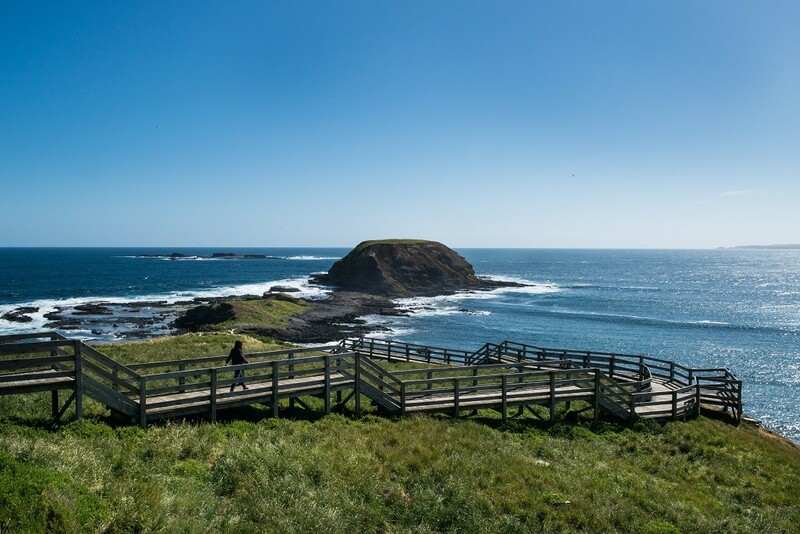 The Nobbies provides coastal boardwalks which lead you to stunning views of the powerful ocean force which crashes amongst the rocks, forming what is known as a blowhole. 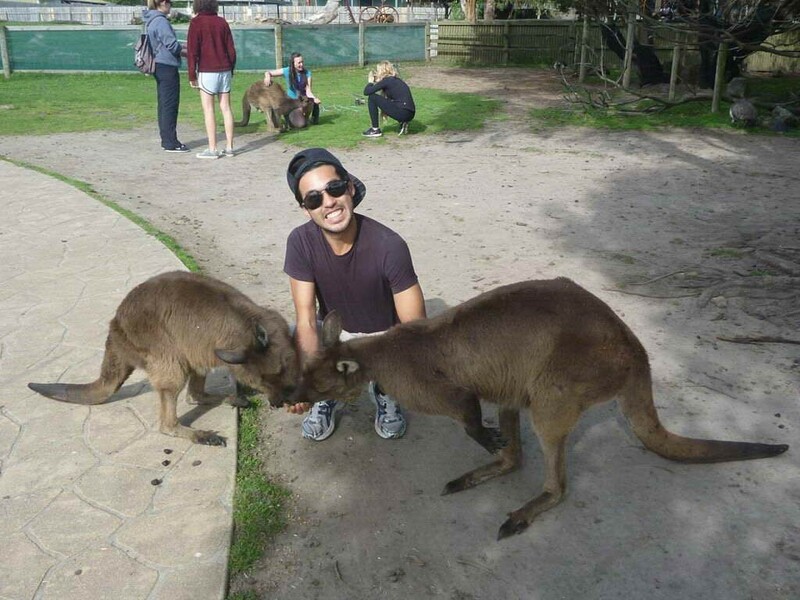 We leave the main attraction of our Phillip Island Day Tour, till last! 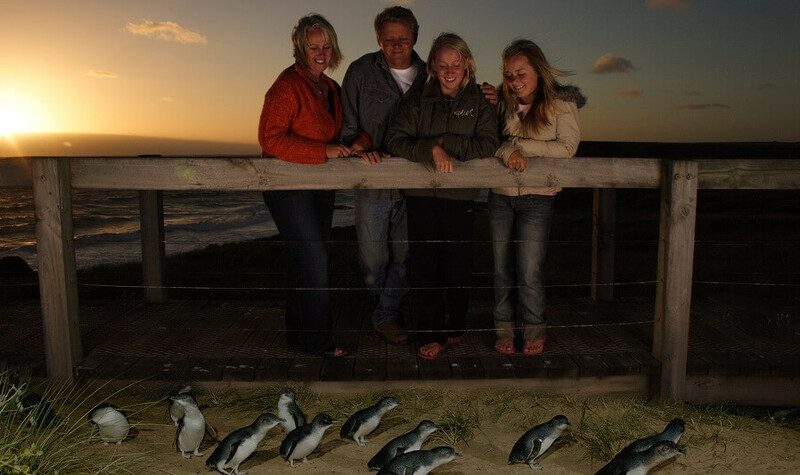 Be amazed as you discover the wonders of the Phillip Island Penguin Parade. The Penguin Parade is one of Victoria’s most popular tourist destinations to visit, with thousands witnessing the parade yearly. 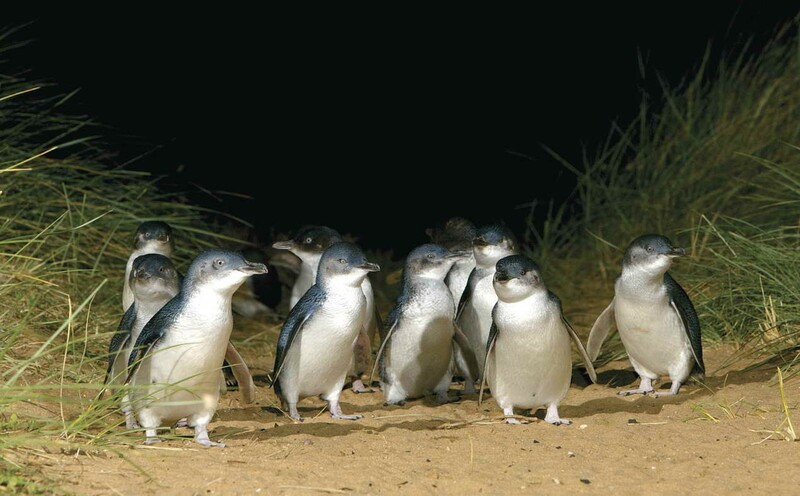 As the sun sets over the sea, be amazed as hundreds of little penguins emerge from the ocean and waddle across the sand to find refuge in the safety of their burrows. 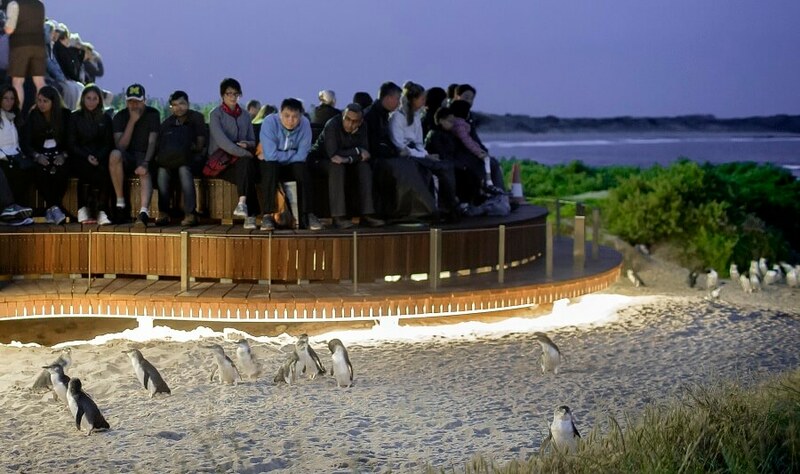 The Phillip Island Penguin Parade is an event that every tourist visiting Victoria must experience. 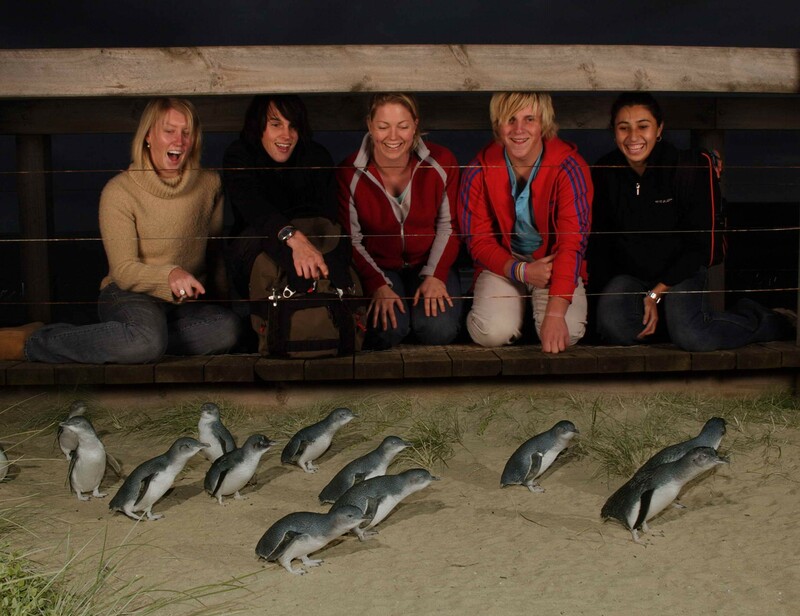 Join us today on our 1 Day Phillip Island Penguin Parade and Wildlife Adventure to see what all the fuss is about!